There is a correlation between employee turnover and profitability. The lower the turnover, the higher the profitability. Your ability to hire the right talent at the right time at the right salary — and retain them will be the key to your success. 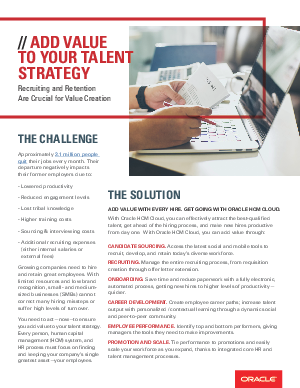 Download this guide to see how you can jump off the hire/rehire treadmill; attract and hire the best talent and get them working productively over the long term.